A declaration of war by Canada is a formal declaration issued by the Government of Canada (the federal Crown-in-Council) indicating that a state of war exists between Canada and another nation. It is an exercise of the Royal Prerogative on the constitutional advice of the ministers of the Crown in Cabinet and does not require the direct approval of the Parliament of Canada, though such can be sought by the government. Since gaining the authority to declare war under the Statute of Westminster 1931, Canada has declared war only once, during the Second World War. The Dominion of Canada had its first experience of war as a nation in the South African Boer War. In many ways at that time Canada did not consider itself as a country separate from Great Britain. When the war began, Canadian opinion was sharply divided on the question of sending troops to aid the British. Some French Canadians, who saw growing British imperialism as a threat to their survival, sympathized with the Afrikaners, whereas English Canadians, with some exceptions, rallied to the British cause. Under intense public pressure, Wilfred Laurier's government reluctantly authorized recruitment of a token 1000 infantrymen, designated the 2nd (Special Service) Battalion, Royal Canadian Regiment, commanded by Lt-Col William D. Otter. Canada had no difficulty procuring 6000 more volunteers, only a few of these, however, were recruited under the authority of the Canadian Militia Act and organized, clothed, equipped, transported and partially paid by the Canadian government. In fact, the 3rd contingent, Strathcona's Horse, was funded entirely by Lord Strathcona (Donald Smith), Canada's wealthy high commissioner to the UK. The rest, the South African Constabulary, the 2nd, 3rd, 4th, 5th and 6th Regiments of CMR and the 10th Canadian Field Hospital, were recruited and paid by Britain. All were volunteers who agreed to serve for up to one year. The Canadian Parliament didn't choose to go to war in 1914. The country's foreign affairs were guided in London. So when Britain's ultimatum to Germany to withdraw its army from Belgium expired on 4 August, 1914, the British Empire, including Canada, was at war, allied with Serbia, Russia, and France against the German and Austro-Hungarian empires. Although the British declaration of war automatically brought Canada into the war, because of Canada's legal status as subservient to Britain the Canadian government did have the freedom to determine the country's level of involvement in the war. On August 5, 1914, the Governor General declared a war between Canada and Germany. The Militia was not mobilized and instead an independent Canadian Expeditionary Force was raised. In the end more then 600,000 men and women participated in the war by enlisting. Another 120,000 were conscripted, of whom only 47,000 actually went overseas. Canada lost 60,661 dead in the First World War. Many more returned from the conflict mutilated in mind or body. After Nazi Germany invaded Poland on September 1, 1939, the United Kingdom and France declared war on September 3. To assert Canada's independence from the UK, as already established by the Statute of Westminster 1931, Canada's political leaders decided to unnecessarily seek the approval of the federal parliament to declare war. Parliament was not scheduled to return until October 2, but returned to session early on September 7 to consider the declaration of war. The Senate approved a declaration of war on September 8 and the House of Commons approved it on September 9. The following day, Prime Minister Mackenzie King and the Cabinet drafted an Order in Council to that effect. Canadian diplomats brought the document to King George VI, at the Royal Lodge, Windsor Great Park, for his signature, whereupon Canada had officially declared war on Nazi Germany. In his capacity as the government's official recorder for the war effort, Leonard Brockington noted: "King George VI of England did not ask us to declare war for him—we asked King George VI of Canada to declare war for us." 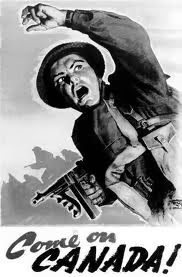 On June 10, 1940, Italy declared war on France and the United Kingdom. Both houses of Parliament approved a declaration of war, and the Cabinet issued the Order in Council the same day. Parliament adjourned on November 14, 1941, and was not scheduled to return until January 21, 1942. The United Kingdom declared war on Finland on December 6, 1941 At the U.K.'s urging, the Canadian Cabinet issued a proclamation declaring war on Finland, Hungary, and Romania the next day. On December 7, 1941 (December 8 in Japan), the Empire of Japan attacked the United States at Pearl Harbor and declared war upon the United States, the United Kingdom, and Canada. Prime Minister King and the Cabinet decided to go to war with Imperial Japan that evening and issued a proclamation declaring war the following day. When Parliament returned on January 21, 1942, the Prime Minister presented the Cabinet's proclamations of December 7, 1941, declaring war on Finland, Hungary, and Romania, and the Cabinet's proclamation of December 8, 1941, declaring war on Imperial Japan. Around 1.1 million Canadians served in WWII, including 106,000 in the Royal Canadian Navy and 200,000 in the Royal Canadian Air Force. 630,052 Canadians served in the Active Army. All these men and women were volunteers. In addition, 100,573 men were called up for service under the National Resources Mobilization Act. After the Second World War, the UN Organization which grew out of the League of Nations, was established. The organization is mandated, on behalf of all member states, to ensure and maintain global peace and security. Canadian participation in conflicts after the Second World War has been through UN, and later NATO, resolutions, thereby excluding recourse to a “declaration of war” against a state, as the military intervention, whether led by an interposition or a peace- keeping force, had the assent of a supranational body. On June 25, 1950 the forces of North Korea crossed the 38th Parallel into the Republic of Korea, attacking at many points and landing sea-borne detachments on the east coast of South Korea. At the request of the United States, the Security Council of the United Nations met on the afternoon of June 25 and called for immediate cessation of hostilities and the withdrawal of North Korean forces to the 38th Parallel. On the same day, a second UN resolution called on the Members to “furnish such assistance to the Republic of Korea as may be necessary to repel the armed attack and to restore international peace and security in the area”. The Canadian Government, while agreeing in principle with the moves made to halt aggression, did not immediately commit its forces to action in Korea. The first Canadian aid came in the form of the Royal Canadian Navy. On July 12, 1950 three Canadian destroyers, HMCS Cayuga, HMCS Athabasca and HMCS Sioux, were dispatched to Korean waters to serve under United Nations Command. Also in July, a Royal Canadian Air Force squadron was assigned to air transport du-ties with the United Nations. On August 7, 1950 the Government authorized the recruitment of the Canadian Army Special Force. It was to be specially trained and equipped to carry out Canada’s obligations under the United Nations charter or the North Atlantic Pact. In the end 26,791 Canadians served in the Korean War and another 7,000 served in the theatre between the cease-fire and the end of 1955. Canadian casualties numbered 1,558 and of these, the names of 516 Canadian war dead are inscribed in the Korea Book of Remembrance. Steve Fortin has suggested that” the very notion of a “declaration of war” may seem antiquated and has been invoked only very rarely in Canada since 1867.” In fact since the Korean War all of Canada’s peacekeeping operations and other hostilities have been conducted under a multilateral framework and have had the assent of a supranational body. The current Conservative government has made it a point to consult the House of Commons on military deployment decisions and there is now an expectation that MPs will get to voice their views on these matters. It could be argued that a government that ignored the House when ordering the military on a significant operation abroad would face severe criticism. When the Canadian Forces are next sent overseas it therefore seems likely that members of Parliament will likely vote on the mission. However the House’s role is merely advisory; MPs can express an opinion, but Parliament does not decide when Canada goes to war. As Philippe Lagassé has pointed out, if Parliament were to demand an Act of Parliament which granted the Commons legal control over expeditionary military deployments they would invite the judiciary to review the legality of military deployments. Canadian MPs would have to ask themselves how comfortable they would be with the courts involved in reviewing political decisions to send the armed forces on operations abroad. The truth is that it is unlikely that Canada will ever again make a formal declaration of war. That does not mean that the executive should not consult with parliament when ordering the military on a significant operation abroad. It also means that those at the sharp end of the operations should be given appropriate legal protection for their actions. It may be that in the future parliament may be asked to declare that a state of “hostilities” exists, with all the ambiguities that implies. A fear of ambiguities should not, however, deprive the members of our Armed Forces of the assurance that they are supported by the nation in any actions we ask them to undertake in our names.